Ireland Inc supports Irish brands and Irish identity, culture and innovation: Ireland, the 51st state?! We can't get away from it, some call it progression (especially within this recession still breathing down our necks) however, i call it commercialisation - and it is happening right under your noses! 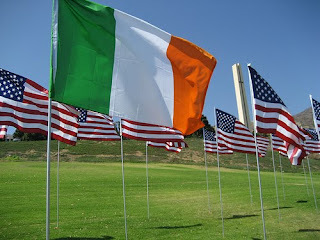 Is Ireland becoming America's 51st state? Ireland is becoming Americanised - a Mcdonalds on every street, huge shopping centres in every city, TESCO all over the country...and not to mention the saturation of advertising ( product placement if i've ever seen it ) Shouldn't these people embrace and preserve the past without it interfering with Ireland's future progression? Think outside the box people!! Commercial dilution or economic boost?